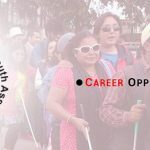 There are 11 members in the executive board of Blind Youth Association Nepal. Following are the list and description of our board members. Mr. Bhandari, a young, emerging leader in the field of disabilty, is a full blind. He completed his Masters degree in Education and Sociology, and is currently working as a Teacher in a school for normal children. Mr. Chapagain, who is partially sighted, has been associated with BYAN for more than three years now. He is a graduate, and is currently working as a Teacher in Bara district. Mr. Gaihre, 30 is a person with low vision. Youth disability leader, trainer / speaker on youth empowerment and disability inclusion, he is one of the founder of blind youth association. Professionally he works as a translator and interpreter for various organisations NGO/INGOs, Diplomat agencies and other international organisations. Mr. Singh, by profession, is a Receptionist in Kathmandu Model Hospital. Despite being a full blind, he has been working successfully for four years now. Ms. K.C., who is a person with low vision has been associated with BYAN for three years now. Ms. Khadka is a Member of BYAN, and Secretary in the board of Banke Youth Chapter. She has been very active in the sector of disabled, especially that of the blind and partially sighted youths. Ms. Dahal, who has been associated with BYAN as a Member, is a government teacher in a school in Jhapa. She has been actively participating in the activities of our chapter in Jhapa, as well as other disabled movements. Ms. Shrestha, a partially sighted youth, is a member of BYAN. She completed her Bachelors in Social Work, and is currently undertaking Masters in English Literature. Mr. Bhatta who is partially sighted, is a student of Bachelor of Education. He aspires to engage in the social service among the blind youths. Mr. B.C is an active member of BYAN's chapter in Rupandehi. He is currently studying in Butwal Multiple Campus, and has been actively involved in the activities of BYAN. Mr. Gyawali, who is a government worker, has been rendering his service to the National Planning Commission. He is an active member of our organization, and is equally active in other activities concerning the disabled.